At only $10.95 per year, Swish Connect provides the cheapest, best value domain names in Australia. It has never been so easy to transfer your domain name. In just a few steps you can take advantage of our great prices, domain management tools, and legendary support. Best of all, transfer your Australian domain name to Swish Connect for FREE and only pay your renewal when it is due. Reliable hosting for small websites, blogs, personal sites and anyone on tight budget. Powerful and Reliable hosting for any website Including businesses, blogs, and ecommerce stores. Your very own resources with full control of a dedicated server, but at a fraction of the cost. Powerful private servers with more resources for demanding websites and applications. Powerful and Reliable Servers for users and web sites that need more power and flexibility. Unparalleled performance for large businesses, demanding applications and websites. Let go of the headaches of being online. Get your domain name, web hosting & web design all in one simple plan. Your complete e-commerce solution for selling anything online to anyone, anywhere in the world. With experience in the web industry since 1998, Swish Connect is one of the longest serving providers of web hosting and web design solutions in Australia. Helping 1000’s of customers over the years, we continue to have an enviable reputation for great customer service and reliability. We work hard to understand the needs of every client. 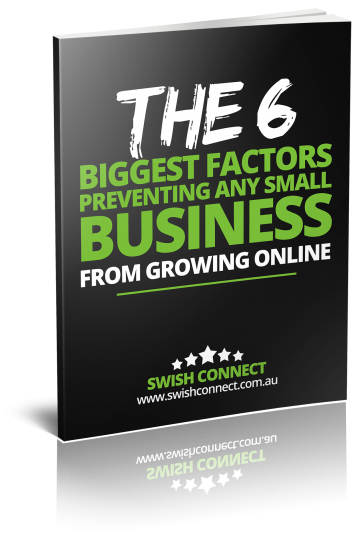 Swish Connect was established in a garage in Melbourne many moons ago, and we have always focused on the online needs of individuals and small to large businesses in Australia. We are proudly 100% Australian owned and operated. We are still based in Melbourne along with our data centers support and sales teams. Another reason why our customers choose us. Web hosting services use a lot of electricity. All those servers, air conditioners, network equipments use a massive amount of electricity. At Swish Connect, we take every step to ensure we are carbon footprint efficient. We use 100% Accredited Renewable Green Power, and we offset our CO2 emissions to ensure we have a zero carbon footprint.